More than 50,000 people participated in the demonstration, demanding that they would not leave the area until President Omar al-Bashir resigned. At about seven people on Monday died in Sudan while troops were attempting to disperse protesters staging a sit-in in the capital Khartoum, the interior minister said. 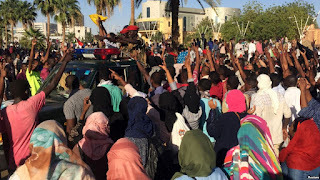 While the demonstrations were being dispersed seven citizens died, six of them in Khartoum state and one in central Darfur," Bushara Juma told parliament, adding that about 10,000 protesters had rallied in front of the military headquarters in the capital on Saturday. A soldier also died following a shootout with pro-government security forces, reported by news agency EFE. 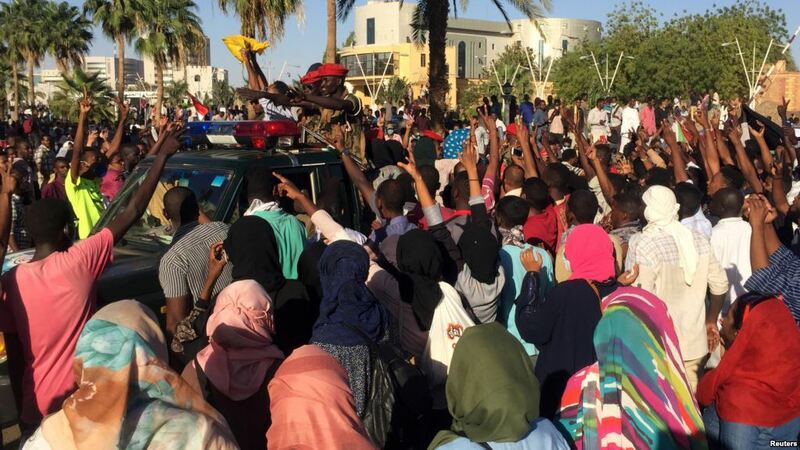 More than 50,000 people participated in the demonstration, demanding that they would not leave the area until President Omar al-Bashir resigned and a transitional government was formed to "move the country onto the next stage." Protests stirred in Sudan on December 19, 2018, and have occurred almost daily since then. Nothing less than 50 people have been killed since the action began, the movement was met with repression by security forces. More than 1,000 are thought to have been arrested, among them opposition figures and activists.